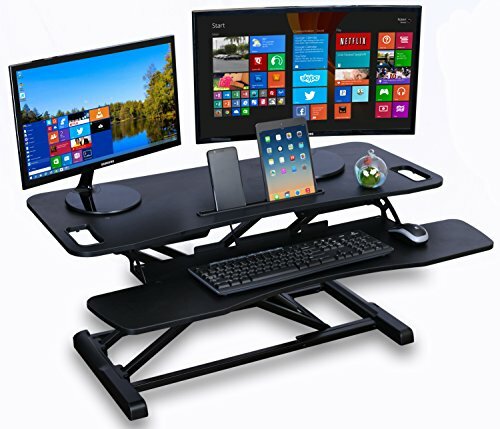 In the Box : 1 Table Jack Standing desk converter pro (black), Instruction manual. Sitting for prolonged hours at your work desk increases the risk of back pain, Diabetes, heart problems, obesity and a slew of other body problems. Using a standing desk and following the sit stand cycle can alleviate a substantial amount of these troubles. Sleep : 8 hours of sleep in a straight upright position on a flat bed. If you have any questions about this product by Deskool, contact us by completing and submitting the form below. If you are looking for a specif part number, please include it with your message.